Tsenat Radio Interview with Amb Girma on Latest Development. Ethiopia's GDP reaches almost A Trillion Birr!! Faced with a high cost of energy, Rwanda is planning to import 400MW of electricity from Ethiopia in the medium term. 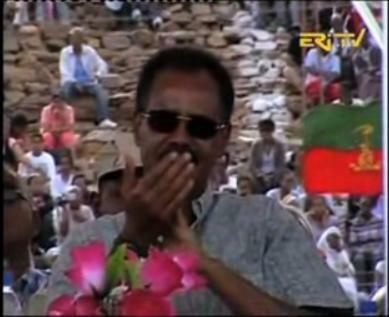 ዶባዎች (ራያዎች) በአብዛኛው ኦሮሞዎች አይደሉምን? Ebola! Should we scare it? Ginboat 7 - taking leave of their senses. 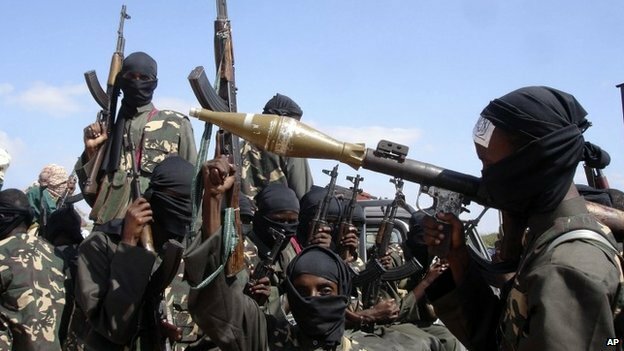 Is Separatisim in Ethiopia Dead or just Moribund? በአሜሪካ ኢትዮጵያ ኤምባሲ ላይ ለተፈፀመ ውንብድና የአሜሪካ ዝምታ ለምን? Read the two articles below, listen to what Andargachew has said and decide, first, if the British Government is doing any wrong, second , if the Ethiopian government was wrong in any way to apprehend Andargachew, regardless of his citizenship! 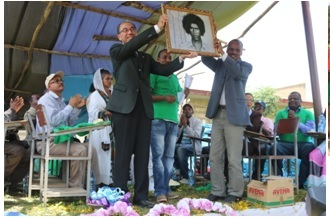 በውስጥ የጨነገፈውን የቀለም አብዮት በውጭ መጸነስ አይቻልም!! The World Bank's Board of Executive Directors on Tuesday approved a US$600 million credit to fund Ethiopia's social productive safety nets project. Ethiopia as an Emerging Economic Power House of Africa. 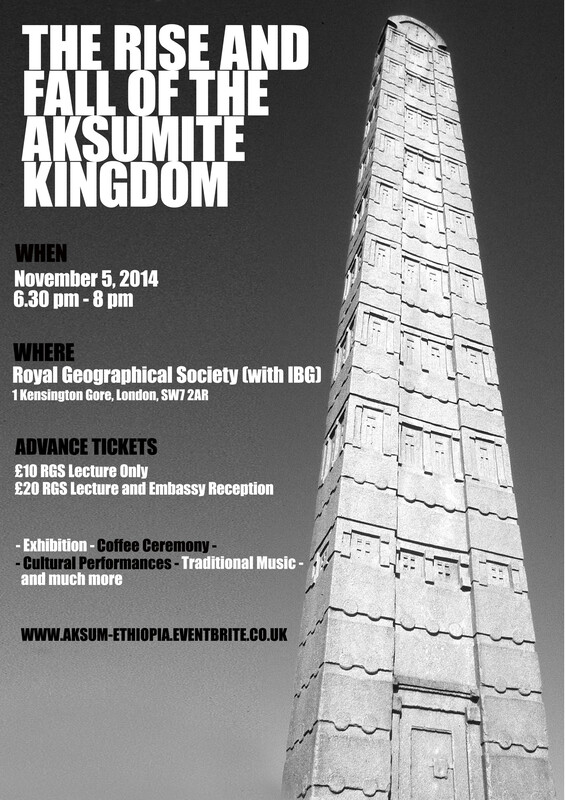 Beyond Political Rhetoric: A call to Ethiopian professionals and experts. Ethiopia: A Nation In A Rush! Co-operation of the Nile Riparian Countries and the Equatorial Lakes Region is Paramount and Quintessential! soleRebels is Opening its First Store in the USA in San Jose, California. 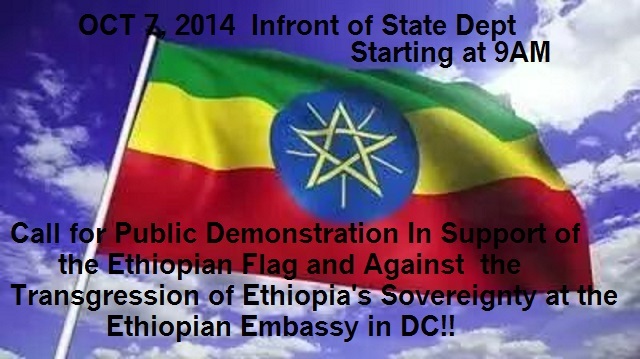 Demonstration will Start at 9AM on Oct 7, 2014 Infront of the State Department!